The Royal Ziegler collection of runners are beautifully designed in a heavy floral pattern, each runner is made in popular timeless shades. 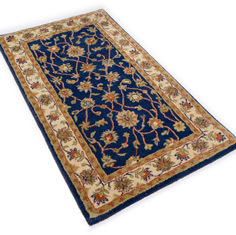 Royal Ziegler hall runners are hand-tufted in India, each rug is made from pure wool. This range can be custom made to your required size.